Saint Patrick's Day or the Feast of Saint Patrick is the Day of the Festival of Patrick. This is a cultural and spiritual day held on the17th of March, and this day is also the death day of Saint Patrick (c. AD 385 –461), who was the foremost patron saint of Ireland. 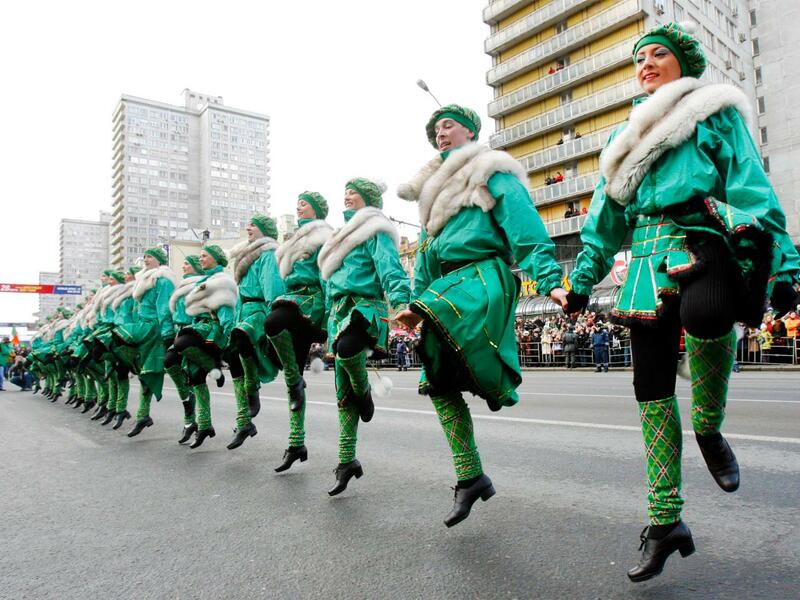 Saint Patrick's Day is an official Christian feast day celebrated since early 17th century. This day is observed by the Catholic Church and the Anglican Communities — especially the Church of Ireland, the Eastern Orthodox Churchand the Lutheran Church. 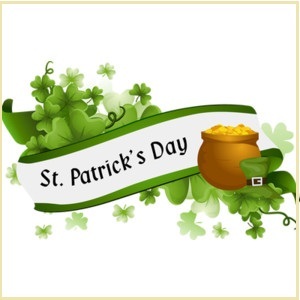 The day commemorates Saint Patrick and the arrival of Christianity in Ireland. 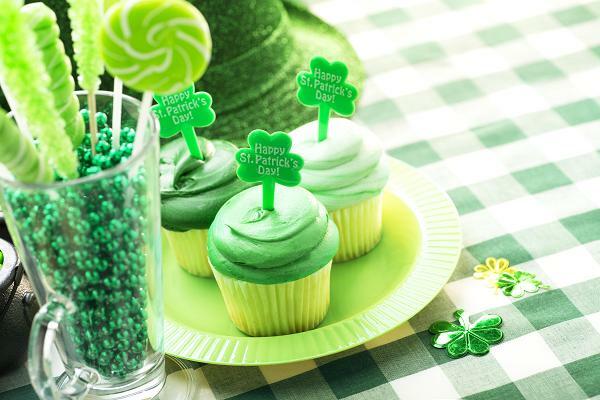 This day celebrates heritage and the culture of the Irish,whichare seen in general on this day along with public parades and festivals, cèilidhs, and wearing of green attire or shamrocks is involved in the celebrations. Saint Patrick's Day is a public holiday in the Republic of Ireland, Northern Ireland, the Canadian province of Newfoundland and Labrador- for provincial government officials, and the British Overseas Territory of Montserrat. It is also commonly celebrated by the Irish Diaspora around the world, especially in Great Britain, the United States, Canada, Argentina, New Zealand and Australia. While the modern celebrations have been very much influenced by those of the Irish Diaspora, mostly those that developed in North America. Saint Patrick was a 5th century Romano- British Christian missionary and bishop in Ireland. He is one of the patron saints of Ireland; much of what is known about him comes from the declaration, which was allegedly written by Patrick himself. Patrick was born in Roman Britain in the 4th Century, into a wealthy Romano-British family. His father was a deacon and his grandfather was a priest in a Christian church. As per the declaration, Patrick was captured by Irish raiders and taken to Gaelic Ireland as a slave when he was at the age of sixteen. It says that he spent 6 years there working as a shepherd and during this time he "found God". While the Declaration says that God told Patrick to flee to the coast, where a ship would be waiting for him to take him home. After returning to his family, Patrick entered the church like his father and grandfather to become a priest. Patrick later returned to Ireland as a missionary and worked in the north and west of the country. He is said to have died on March 17th in or around the year 493. According to a popular legend, St Patrick rid Ireland of snakes. However, it is a thinking that there have been no snakes in Ireland since the final ice age. The "snakes" that St Patrick banished from Ireland, may possibly refer to the pagan or druids worshipers of a snake or serpent gods. He is said to be obscured down under Cathedral in Downpatrick, Ireland. The most famous St. Patrick's Day symbol is the shamrock. A shamrock is the leaf of the clover plant and a symbol of the Holy Trinity. You can see many people wearing the color green and the flag of the Republic of Ireland on the St Patrick’s Day parades around the world. Sacred symbols include snakes and serpents, as well as the Celtic cross. As per a famous saying,Saint Patrick added the Sun, a powerful Irish symbol, onto the Christian cross to create what is at the present called a Celtic cross.